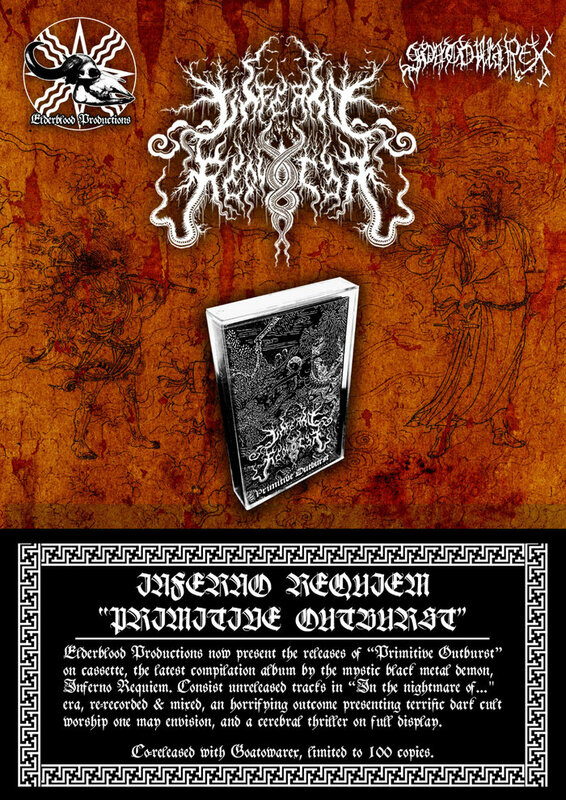 Elderblood Productions now present the releases of Inferno Requiem - Primitive Outburst on cassette. Consist unreleased tracks in “In the nightmare of..."era, re-recorded & mixed, an horrifying outcome presenting terrific dark cult worship one may envision, and a cerebral thriller on full display. Co-released with Goatowarex, limited to 100 copies, less than 30 left.